Maxie Heating & Cooling is proud to serve the Sewell community! 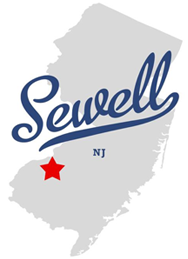 About Sewell, NJ - Happy to be your hometown Heating & Air Conditioning Contractor! Sewell is an unincorporated community located in New Jersey. Home to approximately 37,400 residents, the area is a part of Mantua Township and Washington Township in Gloucester County, NJ. Sewell is notable for containing the Inversand Marl Pit, the last remaining, operational greensand mine in the world. Sewell also contains Gloucester County College and the Gloucester County Institute of Technology. The warm summers and cold winters result in comfortable atmospheres throughout most months of the year. There are many parks with celebrations held throughout the year.